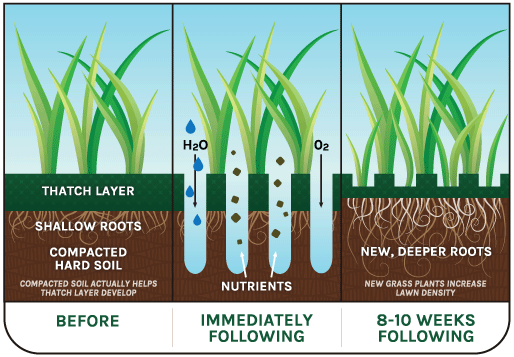 In addition to irrigating your lawn, aeration is another natural technique that can improve the health of your lawn and soil. Aeration involves the removal of 1/3-inch plugs of soil throughout your lawn. The holes left by this process open up passages for air, water, and other nutrients to reach the root system more rapidly, promoting healthier root growth. 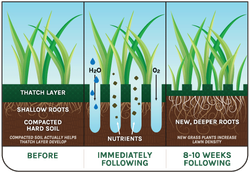 Aeration should be performed once or twice each growing season, ideally in the﻿ spring and﻿ fall.